Limelite Hotel houses 45 luxurious rooms and suites designed to make you feel at home every season for all reason. Located in the new business district of Ago iwoye, Ogun state. 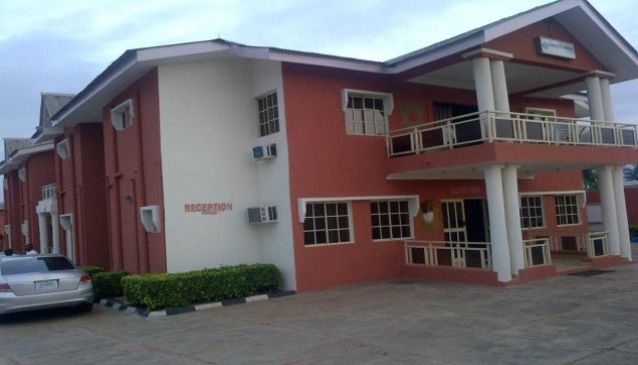 Rated as one of the top four hotels in Ogun State Nigeria,it is about 10 minutes drive from Gateway International Stadium, Ijebu ode and 35minutes drive from the State capital. The hotel has facilities that include: ATM machines,surveillance cameras, swimming pools, gym, wireless internet, L.C.D plasma screen televisions, N.V nightclub,laundry and sporty events like table tennis, 24hours power supply,outdoor industrial catering services to its clients within and outside the state. Ultra modern conference hall that can seat about 30, 50 and 70 persons with presentation tools for business meetings and event centre that can seat over 1000 guests making it ideal for events such as weddings, book launching and conferences.